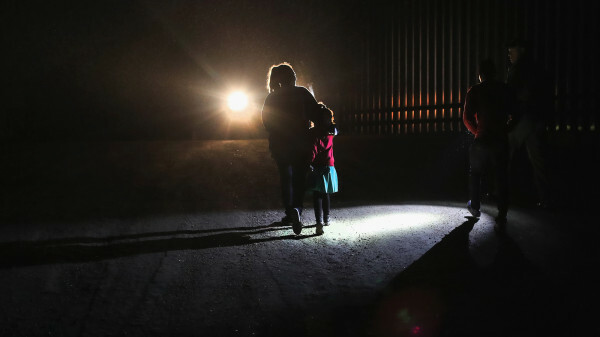 "Border Patrol agents took more than 66,000 migrants, including 36,174 family members and 6,825 children traveling alone, into custody in February, making it the agency’s busiest month since 2009. Border Patrol has encountered more than 163,000 family members and unaccompanied children in the past five months, compared to the previous record of 157,000 during the entire 2018 fiscal year. Border Patrol agents encountered more family members and children in the past five months than in any full year on record. The number of migrants apprehended on the southwest border is up about 90 percent from levels recorded at the same time last year, the authorities said. A national emergency? When are you signing up for the military and manning a post on the border? Why is Trump failing so bad at border security? It was getting better under Obama. Maybe they are looking for jobs at one of his properties. I’ve read he doesn’t have any problem employing them. You didn’t know we could already stop aliens from crossing the border without a national emergency? It took Rush telling you that to know it? I don’t believe it has been argued by anyone that we couldn’t stop aliens from crossing the border, it’s always been our purview. However Rush is incorrect that a wall can be built without explicit funding from congress or trying to do so through the national emergency declaration and taking money from places that wasn’t earmarked for said wall. The courts, including the SCOTUS will reach the same conclusion which is why he won’t go through with it. The flip side of that is that IF by some chance the SCOTUS does side with the president, that will open up a can of worms for when a Democrat controls the presidency that will make Harry Reids nuclear option look like child’s play. Sure, I’ll see if they would take an old guy…lol! The National Emergency provisions have been used numerous times, including by the liberal god, Obama,without any outcry in Congress or the press. However, this is the first time our President is trying to use it in defending OUR country . Yes… They are admitting it’s a crisis but want to blame Trump and not the loop hole. If he used the money for more border agents, judges and medical personnel. He would get a much different response. I don’t see how a wall is going to affect this. Good tactic of sources hard for the left to refute far left communist website Mother Jones as well as Trump hating NYT’s. To add onto that. Even if Trump wins and opens up that can of worms it still doesn’t mean he can build it without the approval of Congress. More than 1000 miles of border will have to be acquired through eminent domain and that power belongs to the Legislative, not Executive Branch. Again, all of these people were apprehended at the border. They were stopped. Without additional wall. The real problem is the loophole allowing asylum from places not next door to the US. We have 21 million illegals and a massive amounts more pouring in. So, the swamp has failed as usual. Walls work and the border guards want them. It may be allowed but it doesn’t make it right. We should change the laws but this is a humanitarian crisis that a wall will not address. The focus is on the wrong area. Congress needs to address this but instead they have to respond to a money grab by the President. All sides need to refocus on what the real problem is. We don’t have enough Border Agents in our employ to be able to station them within close eye sight of each other on the southern border. The wall is to assist the agents that we do have available, unless you think we should just set up .50 calibre machine guns ever mile and a half or so like the East Germans did. Paul Ryan lied to Trump… Didn’t get it done. So what’s new? Congress always lies and this President knows that. He is the first one to not just roll over and accept their lies. without any outcry in Congress or the press. That’s because he didn’t attempt to redirect money that had already been appropriated by congress. That’s a big nono.